I am contributor to Life’s Little Sweet and this recipe first appeared on there as Mocha Oatmeal Cookies. 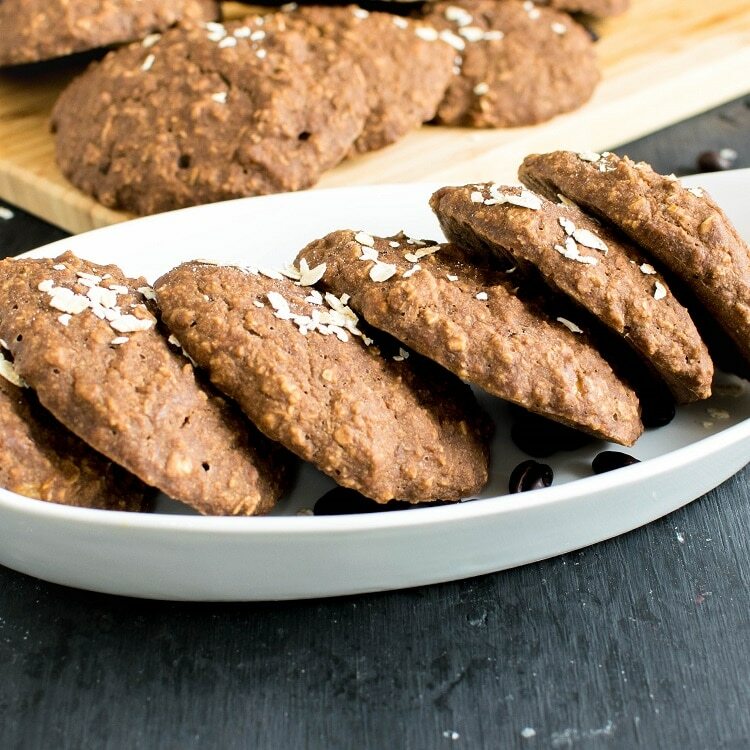 These Mocha Oatmeal Cookies are soft and chewy with a distinct flavor of fresh brewed coffee. These vegan cookies are easy to bake and heavenly for taste buds especially if you are coffee lover. These cookies are absolutely a crowd pleaser and serve two purposes. 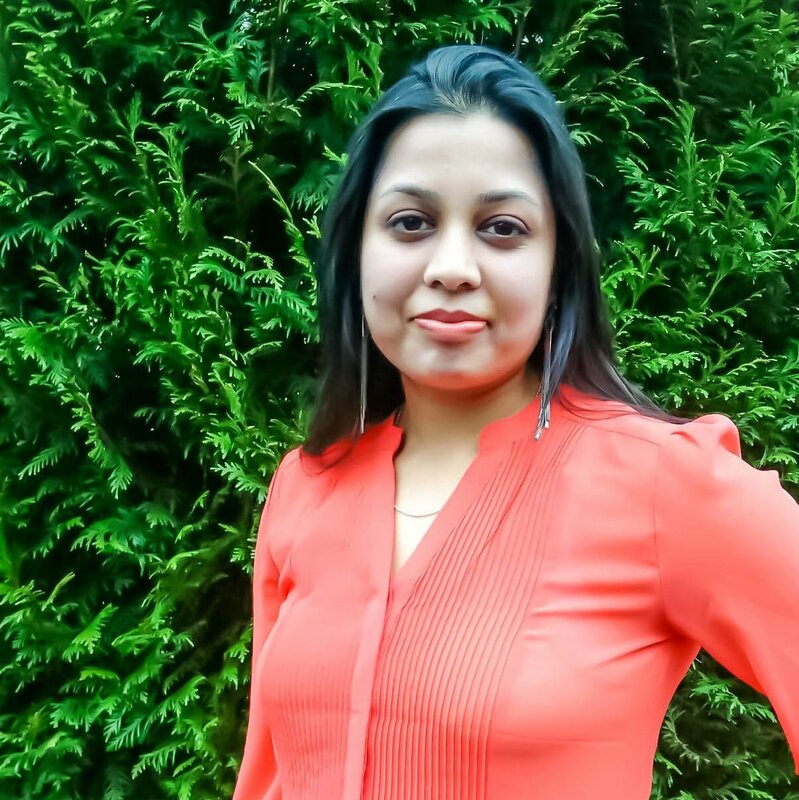 They satisfy the cookie cravings and fulfill your caffeine requirement. When these cookies are dipped in some milk it’s heavenly and out of this world. My husband is mocha crazy and he purposefully makes a trip to coffee shops almost every day to get his kind of mocha. That is how I came up with mocha cookies so I can pack some for his snacks. I must admit he was absolutely delighted with the surprise and immediately approved these cookies. Cookies are my weakness and also my favorite baked goods. Whenever I have extra time on hands I make sure to experiment with cookies. However, I try to include healthy ingredients as much as possible. These cookies are my new favorite because I love when coffee is infused in any dessert. I think coffee enhances the flavor of any dessert immensely and makes it more desirable. I personally used instant coffee powder to make my mocha but you may make your own mocha with your choice of coffee beans. 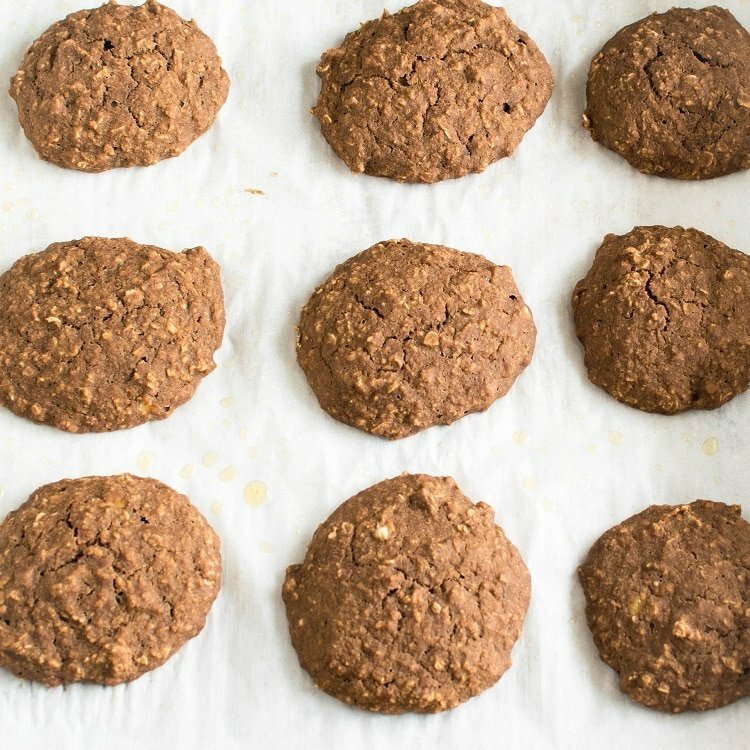 These cookies allow you to be creative with mocha recipe and since it’s made of oatmeal, these cookies are super easy to bind. Even though the batter would be slightly runny but once baked these cookies bind excellently and comes out with a prefect cookie texture. The serving of these cookies is 1 cookie per person but I assure you that it is impossible to stop at only one. Once you get the taste of these cookies you are gonna finish up all within minutes. 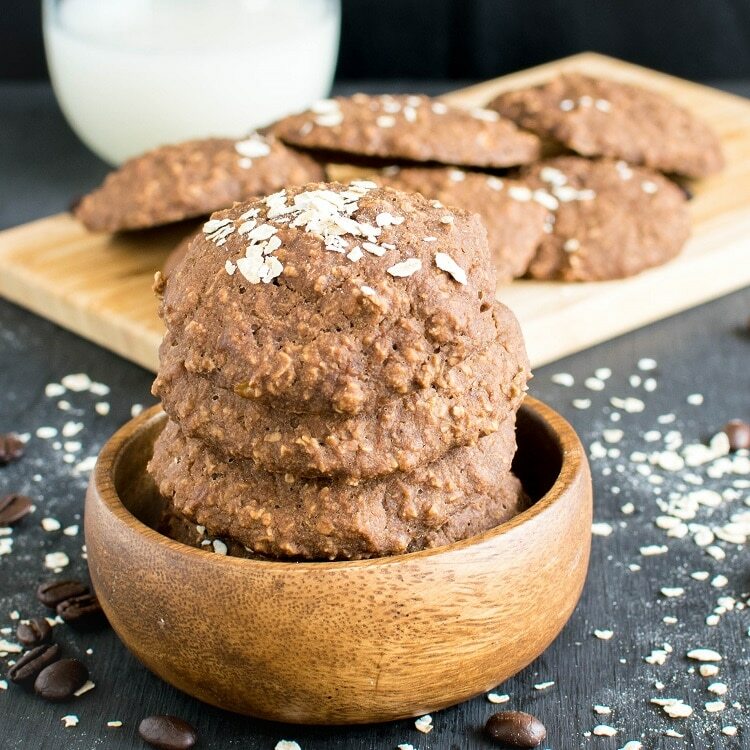 These Vegan Mocha Oatmeal Cookies are soft and chewy with a distinct flavor of fresh brewed coffee. These vegan cookies are easy to bake and heavenly for taste buds especially if you are coffee lover. In a saucepan brew coffee and pour it in a mug. In a microwavable bowl warm the dairy fee milk for 30 seconds and whisk in cocoa powder. Pour this chocolate mixture into the mug. Then add in maple syrup and mix it very well. Keep it aside to cool down. Preheat oven at 350 degree Fahrenheit and prepare a cookie sheet with a greased parchment paper. In a large mixing bowl combine oat flour, steel cut oats, brown sugar, baking powder and salt. Mix it well until no lumps are left. Now, fold in mocha and mashed banana and mix with a spatula. Let it rest for 3-4 minutes until the batter thickens a bit. Now, with the help of a cookie scoop drop the cookies onto the prepared cookie sheet. Let the cookies take its own shape because the batter will be soft as this point. Store these cookies in an air tight container in the room temperature for a week. 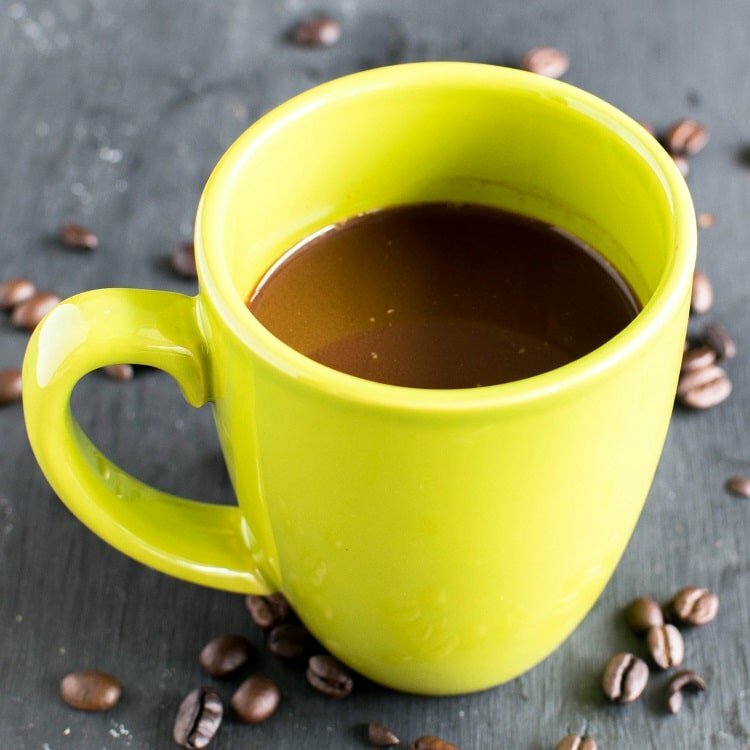 Any brewed coffee of your choice can be used in this recipe. The measurement of the brewed coffee should be 1/2 cup. To make these cookie gluten free feel free to use gluten free oat flour. Oatmeal cookies are my favorite and these look spectacular. So soft and chewy! The mocha flavor is a great spin on a classic. Oh my gosh, these look so delicious. I am definitely going to have to try this recipe! These look so good! I love oatmeal cookies and I havent made them in forever! I love oatmeal cookies – and these look delicious! Time to get baking! These sound delicious! I have a friend who would love them. These sound so yummy! I”ll have to try them out! Oooh yum! I love cookies and I’ve been trying to go dairy free so these are perfect. 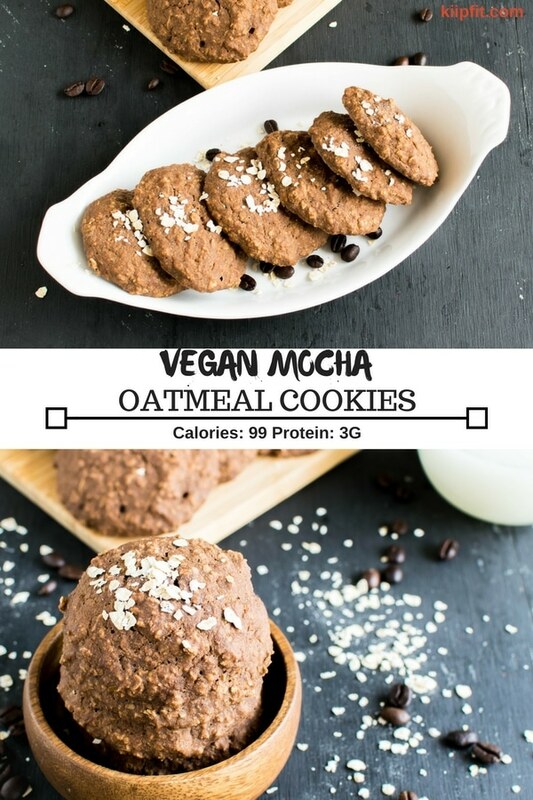 These look really good and delicious, never had mocha cookies but I would love to try them.